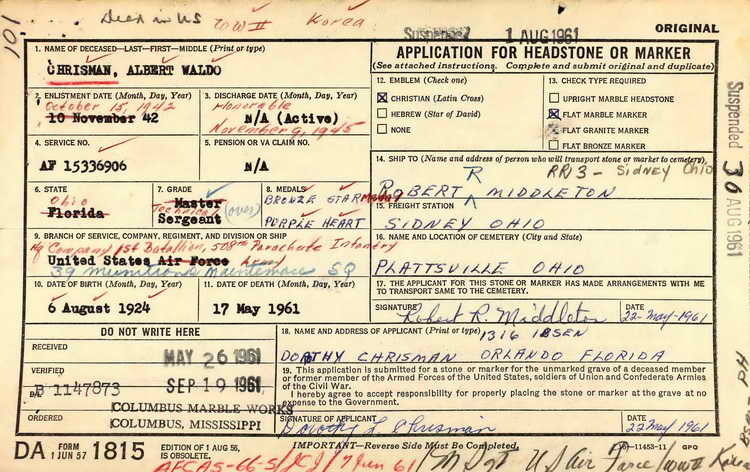 Application for a grave marker and resulting stone for Albert W. Chrisman in the Plattsville Cemetery, Plattsville (Shelby county), Ohio. 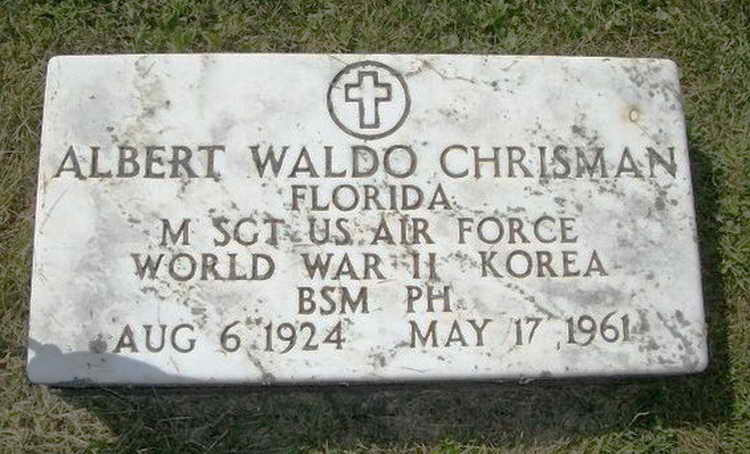 Albert enlisted in the Army at Ft Thomas, KY, on 15 October 1942 and was transferred to Company A, 508th PIR at Camp Blanding, FL. Pvt Chrisman was wounded in action on 3 July 1944 but was able to rejoin the company on 18 July. He was later awarded the Bronze Star Medal which was presumably related to this incident. In 1947 Albert switched to the newly created U.S. Air Force and attained the rank of MSgt which at that time was the highest enlisted grade. It is likely that he died on active duty or completed his military career before the introduction of the so-called "Super Grades" which created the ranks of Senior maser and chief master sergeants.